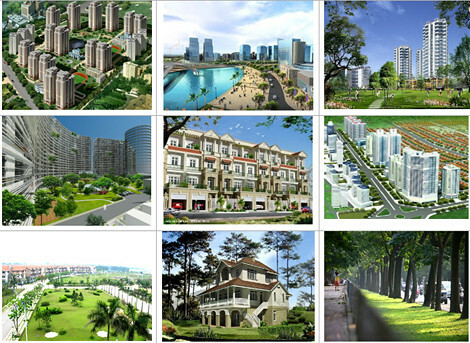 Northern Chau Giang new urban area is located on the new highway Hanoi – Ninh Binh, 56 km from the north of Hanoi, 120 km from the east of Hai Phong and 30 km from the southeast of Nam Dinh. 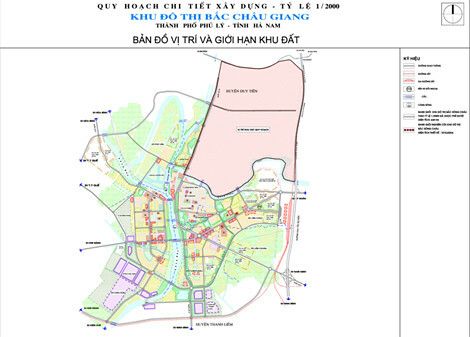 Northern Chau Giang new urban area will be planned to become a technology renovation centre where activities regarding administration, economics, service, culture and preservation and embellishment of historic sites and ecological matters will be developed harmoniously. Apart from that, the urban area also includes residential land (condominium, villa, house with garden and adjacently constructed separate houses), public facilities for public activites such as sports, entertainment and green tree spaces. 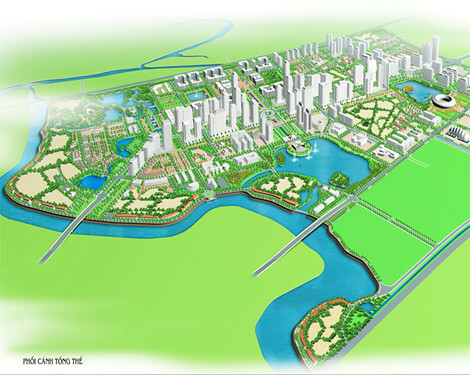 With the idea of turning back to nature, Northern Chau Giang new urban area is planned to become a complex of high rise condominiums, offices, multifunctional buildings, villas and adjacently constructed seperate houses with flower gardens, green trees and fresh & cool water surface space. Being one of the satelline urban areas of Hanoi, Northern Chau Giang new urban area ensures to bring about a perfect nature-friendly working and living environment where there are green tree spaces and lakes surrounding residential units, creating a peaceful atmosphere and healthy environment to ensure the best working and living conditions for residents. 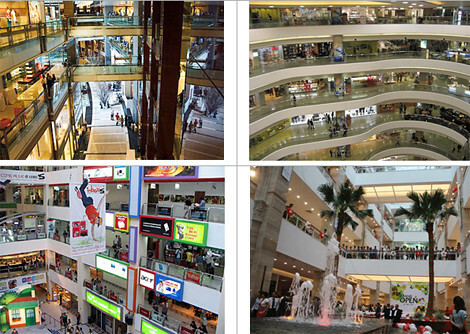 In addion to bringing about an active, modern and nature friendly working and living environment, Northern Chau Giang new urban area offers local and surrounding-area residents the best services to serve their various shopping demands as well as increasingly high trading demands of the society. 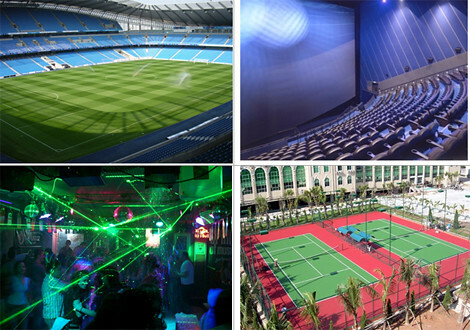 Aiming to meet residents’ demands on health care and relaxing & entertaining, auxilliary works such as stadium, outdoor sport court, cinema, culture house and entertainment area are also designed and developed sychronously by developers, creating an ideal cultural environment for urban residentials. 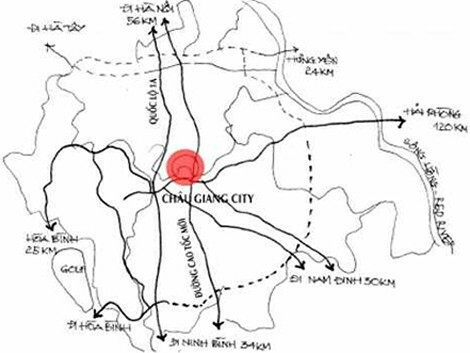 Northern Chau Giang lies in the north of Chau river, about 56 km far from Hanoi to the North, 5 km from Dong Van industrial zone, near to Hoang Dong industrial zone and 5 km far from Doi Son relic site to the East. Tel: 84.4.2812 000 – Fax 84.4.3782 0176.